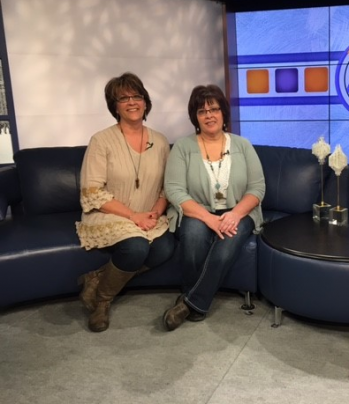 Sisters, Deb Mergen and Diane Bunkers have worked together since 1982, doing jewelry repair in Sioux Falls, SD. After leaving that profession, they decide to open up a business that they could build up themselves. A quilt shop, just north of Dell Rapids, had recently closed. With the need of a store in the area we approached Fritz Schwebach. Fritz, had a building on main street, that hadn't been rented out in over 20 years. After meeting with him, he felt that we would be successful, and as long as we brought him treats, we could rent his building. He gave us a lot of good advice that we still remember today. We started in 2000, with just 200 bolts of fabric. We stayed in that building for 9 years. In 2010, we relocated across the street, in a building with twice amount of space. We became South Dakota's Innova Dealers. We have 3 computerized long arms, 1 at the shop, and each owner has one at home. We stayed in that location for 6 years, growing out of it, we purchased our current location. The building we are in was an old department store, H.O. Rime, that was built in 1899. The building, and most of main street buildings are made out of our local quarry quartzite. Our building has housed many businesses, in the basement there was even a bowling alley! We feature over 5000 bolts of fabric. Everything from cottons, batiks, flannels, handwovens, 200+ wide backs, and lots of minky. We really strive to have a coffee shop atmosphere, and the best customer service. We strive on making lots of samples that you will always find a kit for. We have wonderful people that help us making the samples, so we always have a fresh look at the store. In the fall of 2017, we received a phone call saying we were chosen as the Top 10 Quilt Shop for the Spring of 2018. Lots of hard work throughout the years, and our wonderful customers has made this possible. We hope when you leave that you will return. Most people walk through as customers, but you will leave as our friends.